Our rich, dark stout is made from three types of select malts and two types of hops. We add heavy, flavorful barley flakes to our stout to give it a thick body and full, intensely rich taste. Like a taste of Ireland, brewed with our pure spring water, stout yeast and finished to perfection. 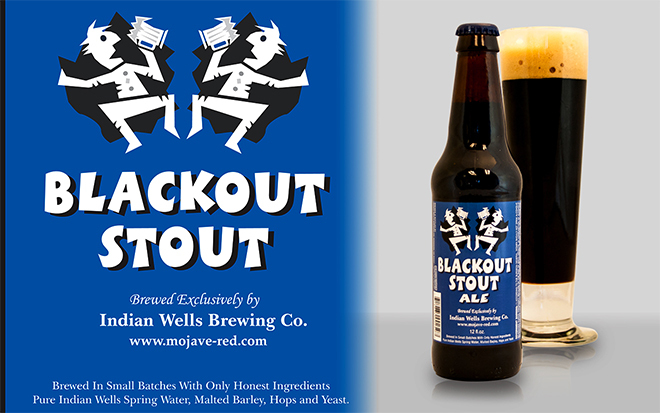 LA Times listed Blackout Stout as one of their "Beers of the Month" as reported here.